The infinity symbol, also known as the lemniscate, is a sideways figure-of-eight, representing eternal development and equilibrium. It brings us into perfect harmony and balance. 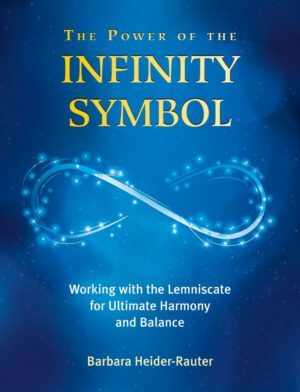 Join Barbara Heider-Rauter, an experienced seminar leader and therapist, and owner of a specialist spiritual shop for more than 15 years, on her journey into the spiritual world of the infinity symbol. Discover everything you need to know about this luminous symbol. Use the many simple exercises and tips to reconnect the two halves of your brain, the analytical with the emotional side. Learn how to make decisions more easily and improve your relationships with others with greater ease and a lighter heart. Your relationship with your partner will also be filled with greater harmony through the balance provided by the lemniscate. We all recognise this symbol – very few of us are aware of its power.